Let me take you on a journey to a far away world, so different from our own: A world, where faeries live and went to war with humans. A world, which now is divided by a wall as a result of this war. A world, in which humans tell the cruelest stories about the High Fae and the faeries - stories about sacrifices, about brutal killings and about their immortal strength and magic. In this world, their is a small village in the human realm, in which a poor family lives. With no one else to feed them, they rely on the youngest daughter - Feyre - to hunt for them. And as she one day encounters a wolf, with eyes unlike anything she has ever seen, she kills him. She kills him, without knowing the consequences to her life. That's when this story begins - the story of Feyre being taken to the fairy realms to pay her life dept and discovering truths, she never believed possible. 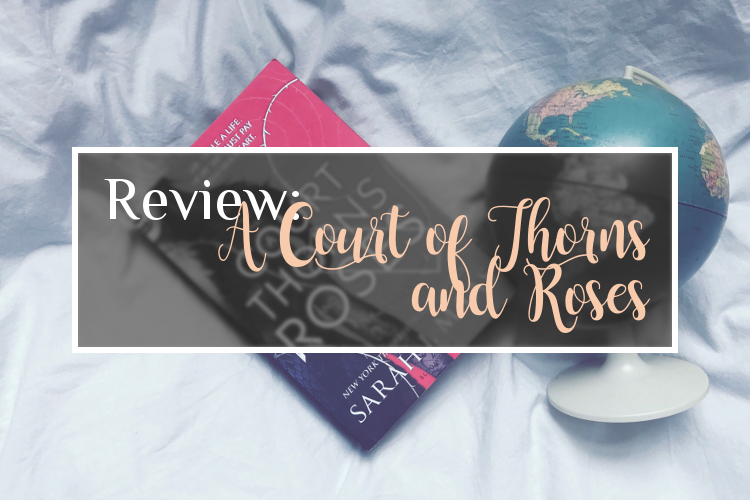 I think "A Court of Thorns and Roses" is one of the most popular books in the Booktube/Boogblog-community (at least between the YA-readers), and now I know why! Damn, just damn! I mean, I knew I would like this book, after reading the "Throne of Glass"-series by Sarah J. Maas, but I didn't expect THAT! I just can't even! I don't know, where to start and how to tell you, how much I f***ing loved ACOTAR! Okay, getting serious: At the beginning of this book, I was a little let down - it was very slow-paced, not that I had to fight through the pages, but the story evolved very slowly, BUT THEN the book took a 180 and I couldn't stop myself anymore - it was just so thrilling and every page held a new secret I wanted to know all about! I cherished every one of those pages and I have no doubt, that I will love "A Court of Mist and Fury" just as much!